Farron Levy, president and founder of True Impact (www.trueimpact.com), specializes in measuring the performance of social and community investments for corporations, foundations, and nonprofits. Clients include Bank of America, Deloitte, Junior Achievement, Newman’s Own Foundation, PepsiCo, Pfizer, Points of Light, The Duke Endowment, United Way Worldwide, UPS, and Wells Fargo, among others. 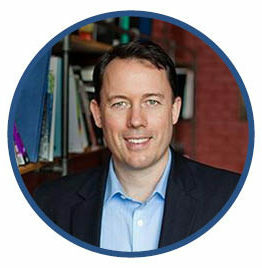 Previously, he was a partner and director of cost-benefit-analysis services at SmithOBrien, a social auditing firm; executive director of CitySkills, a nonprofit dedicated to developing career ladders for inner-city residents into sustainable, upwardly mobile IT jobs; and an analyst with Industrial Economics, Inc., an environmental and economic consulting firm. He has served in advisory and pro bono support roles for CitySoft, City Year, New Profit, New Sector Alliance, Points of Light, and the Reimagining Service Council. He earned a Masters of Public Policy from Harvard University, and a Bachelor of Science from Carnegie Mellon University.